Size 16mm x 400mm long. Long series high quality hex shank flat bit. Precision ha.. Size 25mm. High quality hex shank flat bit. Precision ground point. Angled .. Size 32mm. High quality hex shank flat bit. Precision ground point. 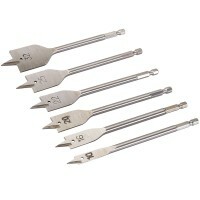 Angled ..
Silverline 282566 Flat Wood Drill Bit Set Features 6 piece set. Hardened steel flat.. Size 35mm. High quality hex shank flat bit. Precision ground point. Angled .. Size 6mm. 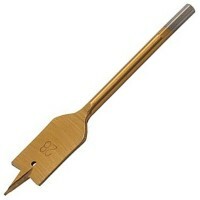 High quality hex shank flat bit. Precision ground point. Angled c.. Size 10mm High quality hex shank flat bit. Precision ground point. Angled c.. Size 30mm. High quality hex shank flat bit. Precision ground point. Angled .. Size 13mm x 400mm long. Long series high quality hex shank flat bit. Precision ha.. Size 16mm. 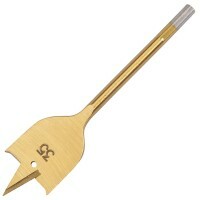 High quality hex shank flat bit. Precision ground point. Angled .. Size 19mm. High quality hex shank flat bit. Precision ground point. Angled .. Size 38mm. High quality hex shank flat bit. Precision ground point. Angled .. Size 28mm. High quality hex shank flat bit. Precision ground point. Angled .. Size 6mm x 400mm long. 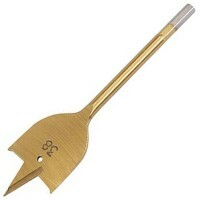 Long series high quality hex shank flat bit. Precision har.. Size 12mm. High quality hex shank flat bit. Precision ground point. Angled ..